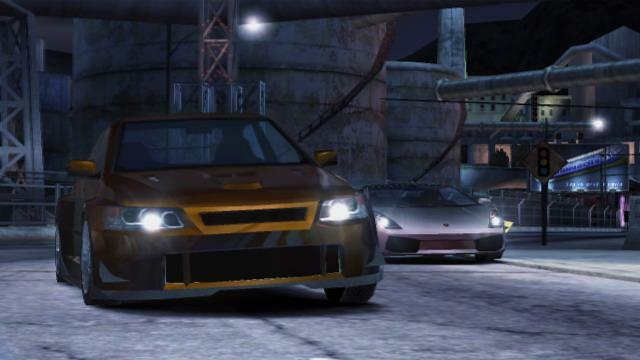 Need for Speed Carbon review Game Over Online - http://www.game-over.com Need For Speed Carbon is basically a port of the Xbox version of the game. Obviously, it plays a whole lot different due to the Wii’s control scheme. If you’re a fan of the Need for Speed series, you may have been hoping for something completely different. It’s not, but it plays uniquely enough that it is indeed its own game. The default way of controlling your car in the game is to tilt the Wii-remote sideways and hold it like a steering wheel. Then you simply tilt it left and right to steer, using the 1 and 2 buttons for the gas and brake. The control scheme definitely takes a while to get used to, and the steering will feel clumsy and not sensitive enough at first. There is what is called an “oversteer” button, the A button, which will basically make you turn sharper. It’s helps, and once you get used to the controls, they actually work surprisingly well if you give them a chance. EA has given us four other ways to control our cars, including using the nunchuck to steer and tilting the Wii-remote up and down for speed control, but 95% of us will stick with the default control scheme. It’s nice to have options, however. The story of the game continues right on from Most Wanted. You show up in Palmont City, and are attacked by an unexplained bad guy, and Darius saves you. You’re now basically obligated to race for Darius, and you must work your way up until you own all of Palmont city, and eventually take on Darius as the final boss. 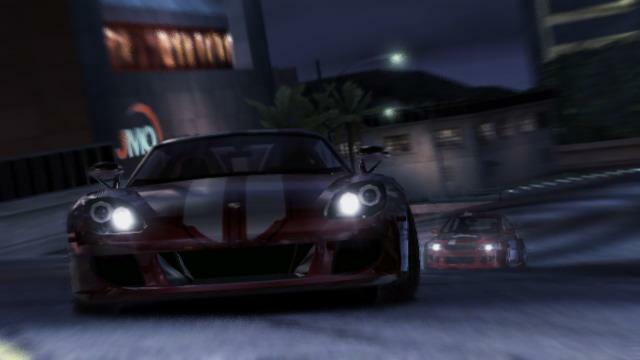 You own the city by conquering all the 5 or 6 different territories, by winning circuit, drift, sprint, and canyon races. At the end of each territory, you’ll have to face the boss, which has two parts. First, you’ll have to win a normal event with the boss in it, which will earn you the right to take on the boss in a canyon boss race. The canyon race is made up of you chasing the guy down the mountain to the finish, and then you switch and he chases you down the mountain. The shortest combined distance at the end wins. If one racer either gets passed or falls too far behind, he loses automatically. The canyon races are the highlight of the game, and are actually pretty intense. You really have to keep focused the whole time, or else you’ll fly right off the edge. Another addition this time around is use of the wingman. As you progress through the game, you’ll be able to hire new wingmen to race on your team (one at a time). There are three types of wingmen you’ll be able to hire: blockers, scouts, and drafters. Honestly, the only one you’ll really get any use out of is the blocker, who will take opponents out for you to gain the advantage. Even they are hard to control and utilize effectively. Sometimes your wingmen will get in your way, making them overall more frustrating then they are useful. It’s a nice idea in theory, and could be used well in the future. 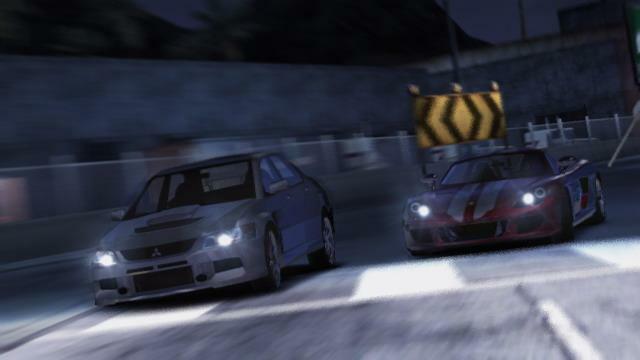 The list of cars in the game is very good, as we’ve come to expect from the Need for Speed series. There are more than thirty licensed cars and they're divided up into three groups; tuners, muscles and exotics. All three groups feel distinct, and each player will probably have a certain class with which they are the best. You can earn new cars by unlocking them and purchasing them from the dealers, but you can also win a boss’s car by defeating him. Any fan knows, however, that purchasing a car is just the start of the fun. Carbon has some fantastic customization, both performance and visual. Visual upgrades like decals, spoilers and body kits are all available for purchase and performance upgrades gradually become unlocked as you progress through the career mode. Carbon also introduces a system called “autosculpt.” Autosculpt allows you to take a body part and bend and mold it just to your liking. It is very time consuming though, and unless you’re a diehard sculpter, you’ll probably be better off sticking with the prepared kits. Visually, Carbon on the Wii actually looks pretty good, and is one of the better-looking Wii games. There is a lot going on during a race, and the sense of speed that is portrayed is very impressive. The framerate moves along pretty well, and we didn’t notice any hiccups. The sound is basically carried over from Most Wanted, which is a good thing, because it’s always been good. 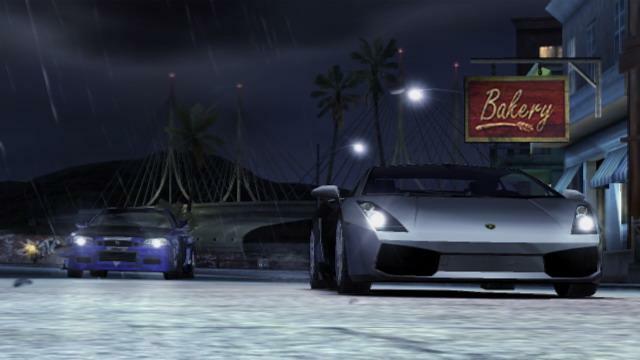 Need For Speed Carbon is basically a port of the Xbox version of the game. Obviously, it plays a whole lot different due to the Wii’s control scheme. If you’re a fan of the Need for Speed series, you may have been hoping for something completely different. It’s not, but it plays uniquely enough that it is indeed its own game. 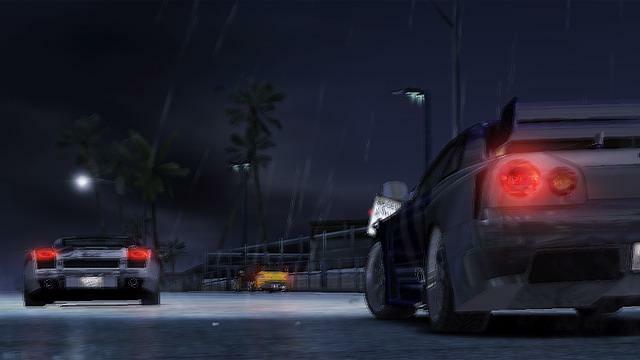 Although Need for Speed Carbon on the Wii is essentially a quick port of the Xbox version, the unique control system makes it its own game. The controls are new and innovative, but to a large percentage of racing fans they won’t seem to fit. There is a lot of potential for this control system as developers get used to the Wii’s controls, but it may take some time. 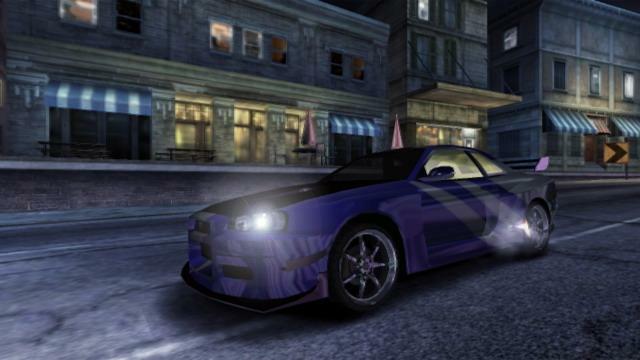 This is still a fun arcade racer with a good story and great customization. I do recommend it, but rent it first, because it’s not for everyone.